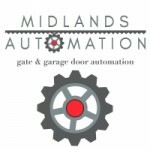 Midlands Automation provides quality services in the gate and garage door automation industry. They service residential, commercial and industrial properties, providing customised access control solutions to suit every need. Owned and operated by Hugh Spencer, a qualified Heavy Current Electrician with a Wireman’s License and over 31 years experience in light current and electronic security systems. He also has a good level of understanding in the mechanical and structural engineering fields, where he has designed and built various items. SERVICE AREAS - Hilton and surrounding areas. SERVICE DELIVERY - a strong emphasis is placed on using quality products, which are professionally installed. Customer satisfaction is of prime importance.